I think we all take our health for granted until we finally realize you’re going downhill. You have to do something and you know it. The problem is most people wait too long, and then you have a big job ahead of you. When you’re young and athletic you can take your good health for granted. You don’t have to work at it, your active athletic lifestyle is all you need to stay in shape. But we don’t actually realize our lifestyle is keeping us in shape. Because we don’t belong to a gym or run three times a week. All we do is play soccer, baseball or maybe basketball because that’s what your friends do. After we’re older, out of school and have a job, our lives change. We spend our days working and our nights relaxing, washing clothes, cooking a meal and getting ready for another workday. On weekends we try to socialize, meet with friends or meet new friends, work on relationships, and spend time with family. Our lives become complicated. We don’t have time for everything, but we need to make time for ourselves. We need to take time to do something for ourselves. Taking care of yourself is not really on the front burner. We always push-off anything that has to do with ourself. “I’m fine, I’ll get to it later. I feel fine I don’t need to exercise.” All excuses that we come up with because we don’t want to deal with having to do one more thing then we already do. But the truth is you have to find time to do the everyday maintenance your body needs. “What, my body needs maintenance, no one told me that.” Oh yah, maintenance. You see most of us can’t see a difference between the way we looked or feel from one week to the next, but your body is changing every day even if you don’t see it. Your body ages every day and depending on that you do every day your body will either age slower or faster. Every extra inch around your waist will age your body faster. So studies say, your waist should be half as big as your height. I’m 70 inches tall, my waist should be a 35 around my navel. For every extra inch around your waist, you’re cutting your life span by 10 years. I know what your thinking, “How can that be true”. Studies have proven that a larger than normal waist is harder on your heart, and it will cause high blood pressure, high blood sugars and high cholesterol. Also being overweight means you have too much body fat which will cause cancer. Now, you probably feel fine and don’t understand why you need to be concerned, but as a young adult or someone under 40 years of age you probably do feel fine. I was in my 40’s before I finally wanted to lose weight. Today, I think we are all more aware of are health, what we eat and that we need to exercise, but we don’t always do what we know is good for us. I think everyone knows by now the dangers of fast food, fried foods and too much sugar but yet we still line up at the drive-in windows and never seem to find time for exercise and seem to ignore our health problems. If you wait until your doctor tells you do wake up and lose some weight, it’s probably going to be serious. Years of not doing the maintenance necessary to keep your body healthy will result in years of serious work and daily maintenance and diets if you want to correct the neglect you’ve done. But even if you get back to a normal weight you can’t get the years of your life back that you probably lost. I’m a senior now, and I believe I’m in good health for my age and I know I finally weigh a proper weight for my age and height. I’m 60 pounds less today then I was 30 years ago and when I get out of the shower I can see what those extra pounds did to my body. I’ll never get the body back that I had as a young man. I swim at a local pool occasionally with many other seniors and you can see right away the people who have always stayed in shape all their lives and those who are trying to get back in shape and of course they can’t, they waited too long, but they are working out, trying to become limber again and trying to regain their strength. I know today our population on a whole is more aware of their health then we were 40 or 50 years ago, never the less a larger part of the adult population is overweight and the numbers keep growing. If you really want to lose the extra flab you can get help, I write blogs and I’ve written two E-books. Read some of my other blog posts. 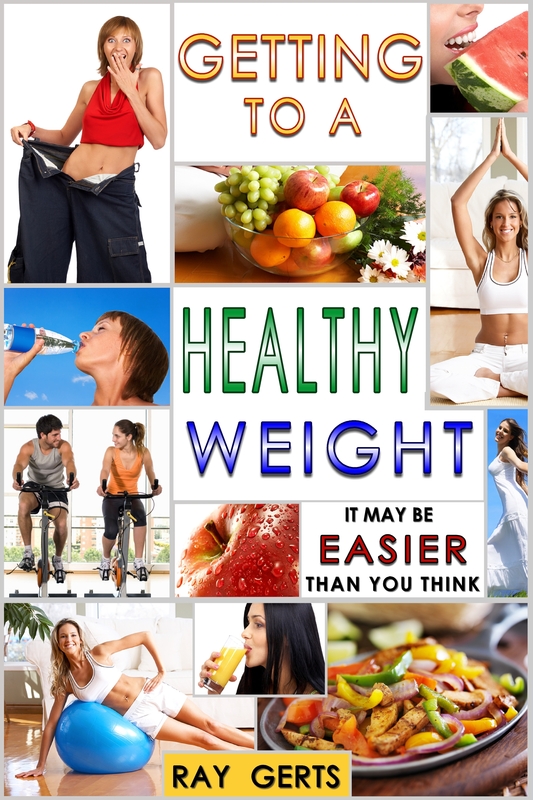 E-books are the easiest and cheapest way to learn about any subject without groping through hundreds of websites looking for the material you want.My first e-book is “HowBadDoYouWantToLoseWeight” and it sells for $2.99 on most online bookstores like Amazon.com, BN.com, iBook, Kobo.com, Scribd.com, and Gardner books in the U.K. This entry was posted in being healthy, diet, eating healthy, health and fitness, lose fat, lose weight, losing weight, Uncategorized, weight loss and tagged being healthy, diet, losing weight. Bookmark the permalink.